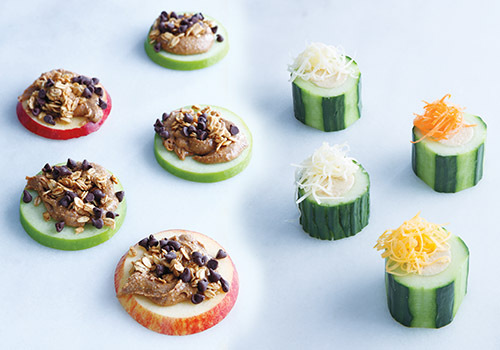 Healthy snacks on-the-go can be difficult to come by, especially during the school year. 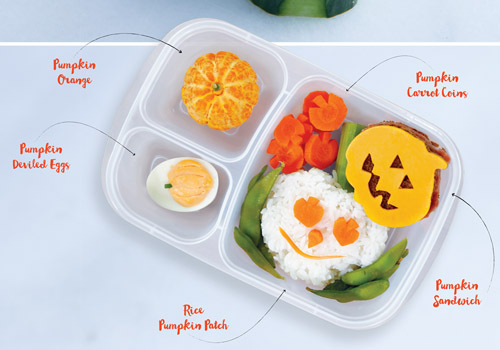 These ideas are not only nutritious, they’re fun, easy to execute and kids will love them! Core and slice red and green apples horizontally. Top with creamy nut or seed butter, granola and mini dark or regular chocolate chips.